Moms do a lot for us. From cooking and cleaning, to bringing home the bacon and teaching us right from wrong. Heck, without them we wouldn’t exist. So on her special day make sure you do something for mom. For Mother’s Day we made a kid-friendly craft list, perfect for moms with a sweet tooth. So get some glue, Mama’s favorite sweet, and get ready to make a very special gift for a very special mommy. Follow the links to the tutorials for all the awesome crafting. Now it’s your turn to let mom have a candy bar after shopping. 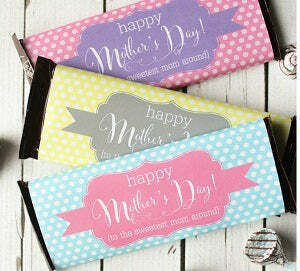 Mommy blog, Lil Luna has free printables to add to your mother’s favorite candy bar. It looks like they fit best on Hershey Chocolate bars, but you could fit the cute design on almost any rectangle or square candy bar. Is your mom a fashionista and a cookie monster? Check out these adorable handmade treats that anyone can help make. 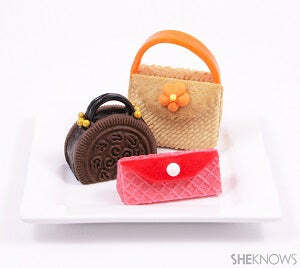 This tutorial shows you how to make three different cookie purses using tea cookies, Airheads, Licorice and Sprinkles. See what other candies you can add to decorate and design your own purse for mom. We all know moms sometimes need a break (one that isn’t a Kitkat bar). 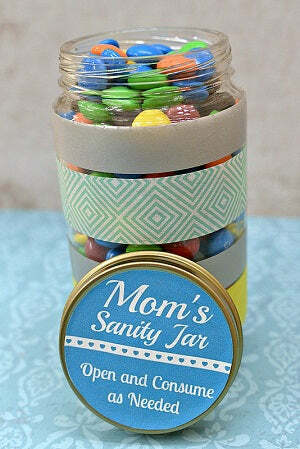 So this DIY project is perfect for mommy to leave at her office or in a secret place in the kitchen. Use colorful tape, a label and a jar to make the perfect emergency kit. 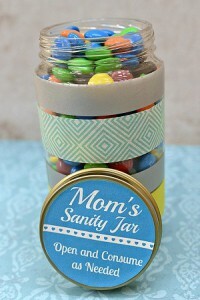 Make the label something cute and funny, then fill with her favorite candy, like M&ms, Reese’s pieces, or Juju Fruit. Now this is a cute idea for the home and the tummy. 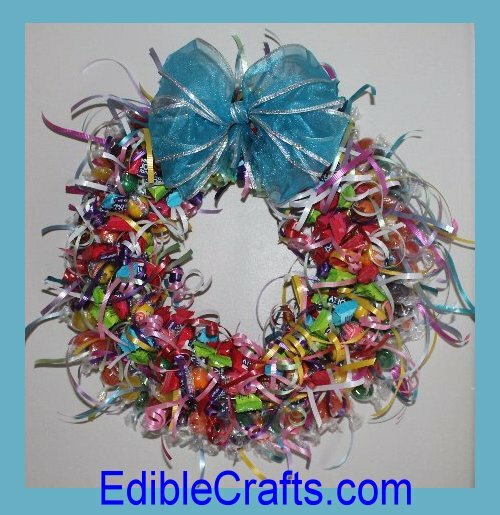 Incredible Edible crafts came up with a way to make mom’s favorite candy into a fun wreath. Just follow the tutorial on how to make the base using a coat hanger, then have your own fun with it. She uses Jolly Ranchers, but you could use almost any candy. However, those with a wrapper are best so you can eat the wreath once the holiday is over.